The Philippines will launch a unified customs electronic clearing platform in the first half, a competitiveness official said yesterday, ahead of a commitment to align it with the launch of the Association of Southeast Asian Nations (ASEAN) system. 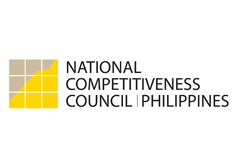 "The NSW (National Single Window) will definitely launch this year -- sometime in the first semester, although I’m not sure of the exact date," National Competitiveness Council private sector co-chairman Guillermo M. Luz told BusinessWorld in a telephone interview. The Customs portal is undergoing connections testing as the system requires linking up with various agencies to get the paperless process to work with most, if not all, products, Mr. Luz noted. Through the NSW, traders can electronically submit export, import, and transit documents once for processing and validation by concerned government agencies. The ASEAN Single Window (ASW), meanwhile, will provide the secure architecture to enable exchange of clearances and other cargo documents across national windows electronically. All 10 ASEAN members have each committed to establish paperless customs procedures -- NSW -- this year. The ASW should be operational by 2015 in time for the ASEAN Economic Community, although the system is now undergoing pilot-testing among seven members. The time line came as the Export Development Council (EDC) last week asked President Benigno S. C. Aquino III to sign an executive order that will fast-track efforts to make customs procedures compliant with the global standards outlined in the Revised Kyoto Convention (RKC). The Philippines now has a year left to comply with the convention backed by the World Customs Organization (WCO) after the government applied for accession in February 2010. "We were given two to three years to align our laws with the RKC. We fell behind that issue, so now we are telling them to catch up because this will… eliminate the arbitrariness and lower the cost of doing business in the Philippines," Sergio R. Ortiz-Luis Jr., Philippine Exporters Confederation, Inc. president and EDC vice-chairman, said in a separate telephone interview yesterday. The convention, as detailed by the WCO, is intended to help economies simplify goods declaration and supporting documents, increase transparency and predictability of customs actions, maximize use of information technology, coordinate interventions with border agencies, improve negotiating position in trade talks, and gain better access to customs-related capacity-building measures. "There are certain policies that can be changed through an EO to make us RKC-compliant, but there are also parts of the customs law that need to be modified through the [pending] Customs Modernization Act," Mr. Ortiz-Luis said.